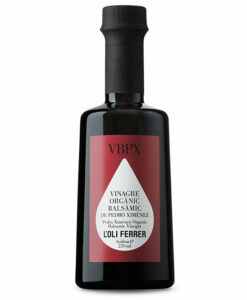 The superior quality of our organic vinegar is achieved by the inclusion of 100% organic Pedro Ximénez grapes. The grapes are dried naturally in the sun and are produced without using synthetic chemicals. The wine is aged through the method of “criaderas y soleras”, obtaining a balsamic vinegar without added sugars, high organoleptic expression and harmony between natural sweetness and acidity. 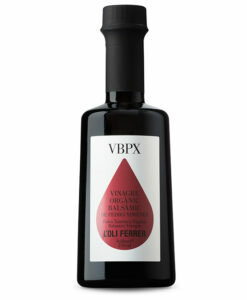 Organic Balsamic Vinegar Pedro Ximenez the color is dark mahogany color, fruity, with a hint of sweetness and aromas of PX raisins, caramel and honey, and notes as aged in American oak. It gives a balanced sweetness of the grapes with freshness and acidity. 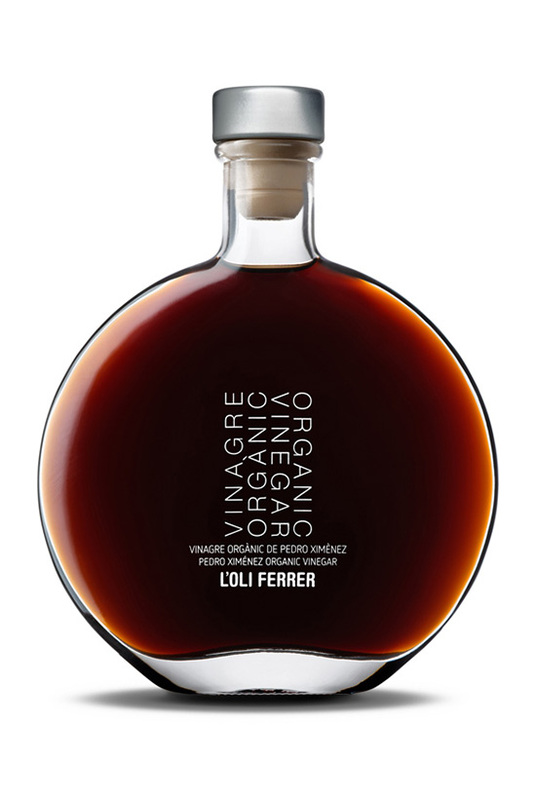 The L’Oli Ferrer vinegars are recommended to be used in raw, cold soups, salads, marinated dishes, desserts with red fruits, and in the preparation of dishes as marinades, game dishes, red meat, and vinegar reduction to prepare dishes and foie gras. Available in 200 and 100 ml exclusive glass bottles.